In episode 12 of Retrospecticus, Garreth, to Tom’s surprise, made a couple of strange claims about how series one of the Simpsons was intended to be concluded. The first was that Krusty and Homer would be revealed to be the same person. This kind of makes sense, as they share an outline and look near identical in the episode “Homie the Clown”. The other however, made less sense: Marge was intended to be revealed as some sort of bizarre human-rabbit hybrid, with her obscenely tall hairdo disguising a couple of large lagomorphic ears. As ludicrous as this idea sounds, a keen-eyed listener Marisa has provided us with some evidence to support this claim. 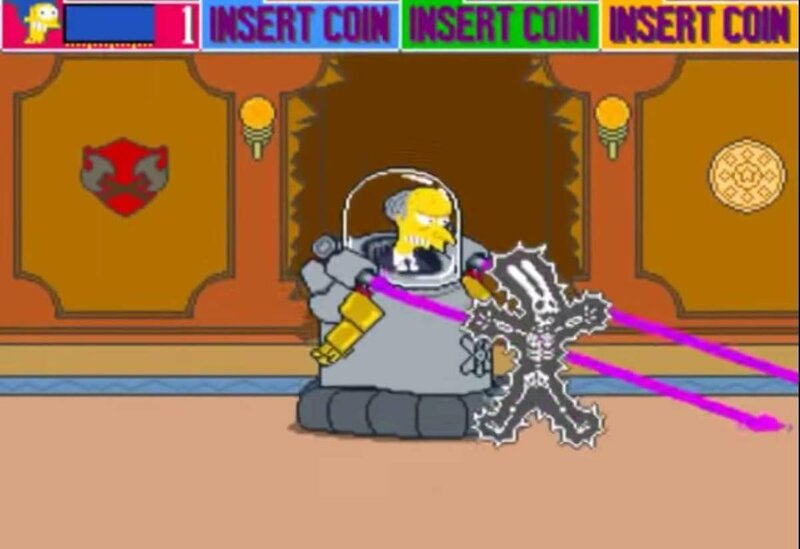 The Simpsons Arcade Game, made by Konami early on in the life of The Simpsons, enables you to take the role of one of four members of the Simpsons family as they battle to rescue Maggie from Mr Burns. If you play as Marge and get electrocuted, her rabbit ears are revealed! So there we are! Thanks for Marisa for the spot, and if you’ve got anything like this that you’d like to send to us, please email podcast at retrospecticus.org, or get in touch with us on Twitter. Cheers.